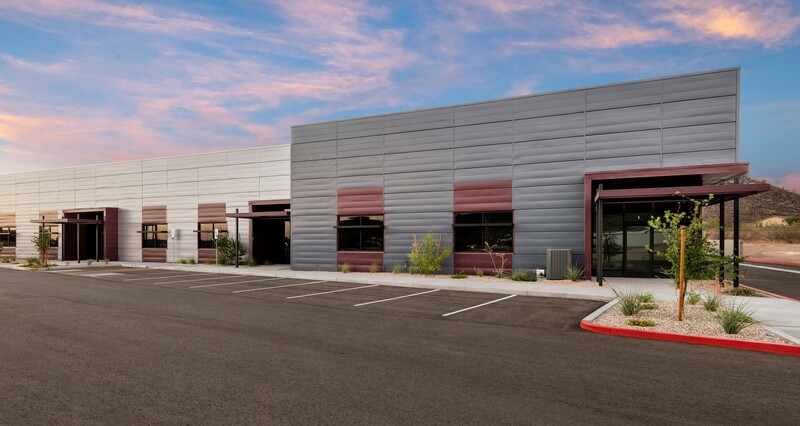 The exterior of Building C at TTR Industrial Park in North Phoenix. PHOENIX, ARIZ. (August 22, 2018) – Cawley Architects is the design firm behind an innovative concept that is being employed at a North Phoenix business park for the first time in the Valley. TTR Industrial Park is being designed with all metal buildings that have an emphasis on contemporary architectural design. The design vocabulary focuses on the clean and crisp architectural surface and qualities of metal buildings which maintain their allegiance to several benefits over other construction methods, namely clear span construction without interior column posts and being fully insulated. The 12-acre site is located east of Phoenix Deer Valley Airport at 16th Street and Deer Valley Road at 1650 E. Donald Dr. When completed, the park will feature 14 free-standing industrial buildings and condo units that feature large and secure private yards. Completion dates are late 2018 and early 2019. The site is zoned A-1 industrial. The light industrial office/warehouse buildings will range from 7,500 SF to 15,000 SF. It is the first project for owner Morton Development LLC, the newest venture of Mike Morton, founder and CEO of several commercial construction businesses. 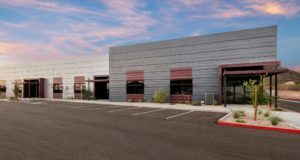 For the past 32 years, his companies have been active in commercial real estate development throughout Arizona, California, New Mexico, and Texas. 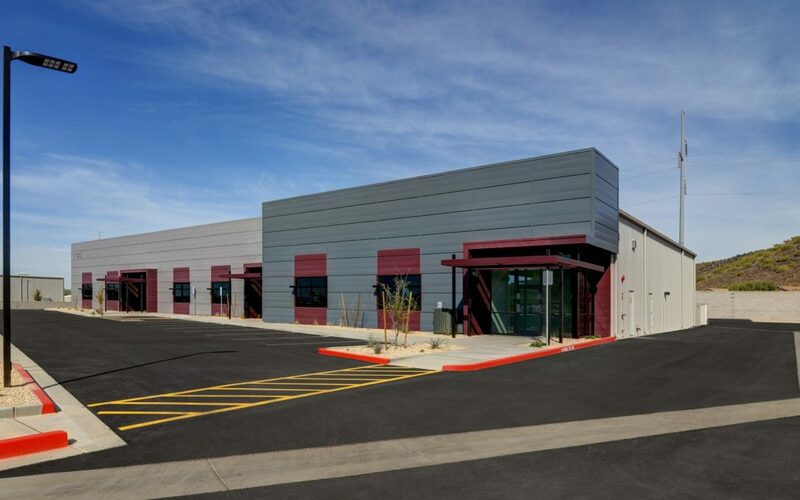 “Having foreseen the need of small businesses for quality A-1 industrial space in the Deer Valley submarket, Mike turned his wealth of experience in construction and commercial land acquisition to Morton Development’s inaugural project, TTR Industrial Park,” said Cawley Architects President Sherman Cawley. Morton is continually seeking new and innovative materials and methods to introduce into the commercial construction industry. He and Cawley have employed this approach at TTR Industrial Park. Morton’s past honors include Technical Innovator of the Year by Arizona Corporate Excellence and earning the Governor’s Award for Energy Efficiency. “We wanted a concept for an industrial park that reaches out to a niche market, users of about 10,000 square feet are our sweet spot,” Morton said. “We wanted a stand-alone facility and not the tract home industrial look predominantly available in the Deer Valley submarket. It was evident to me that the submarket was absent of an industrial park that offered a unique, affordable, and feature-packed ownership experience. “By using pre-engineering metal construction, we were able to provide our clients with a fresh and modern industrial look, clear-span construction (no posts), and fully insulated warehouse,” Morton said. Morton outlined other benefits as well. They include no common walls as each project is free standing on its own lot. Each lot features large, outside secure asphalt storage areas with concrete masonry unit (CMU) walls and steel gates, evaporative warehouse cooling systems, and skylights. Morton also incorporated a common area retention into the park so that each lot is able to maximize and utilize every square foot of its land area. TTR Business Park LLC is the general contractor; Luke Land Realty has the marketing assignment. “We have had a strong presence in the Deer Valley submarket for more than 30 years. We sold the property to Morton’s construction company over 20 years ago,” said Mark Lewis, Principal, Luke Land Realty & Investments. “So you can imagine how excited we are to be a part of this development project. The amount of interest and support from the brokerage community and business owners has been overwhelming. “Cawley Architects gave it a fresh, modern look. The buildings really pop when you drive into the park. They are not going to be cookie cutter. Prospective buyers have multiple design and color options to choose from.” Lewis said. Aerial image of TTR Industrial Park in the Deer Valley submarket.